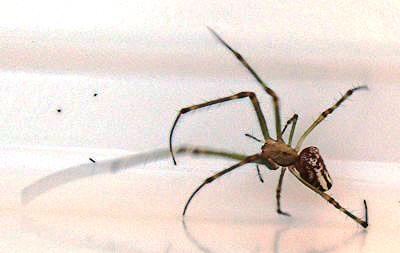 Silver Orb Weaving Spider. 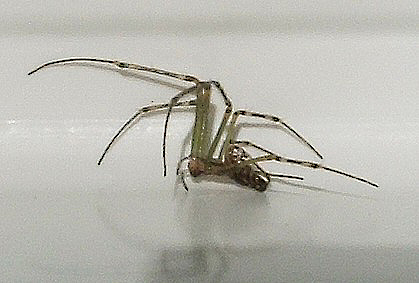 Leucage granulata? 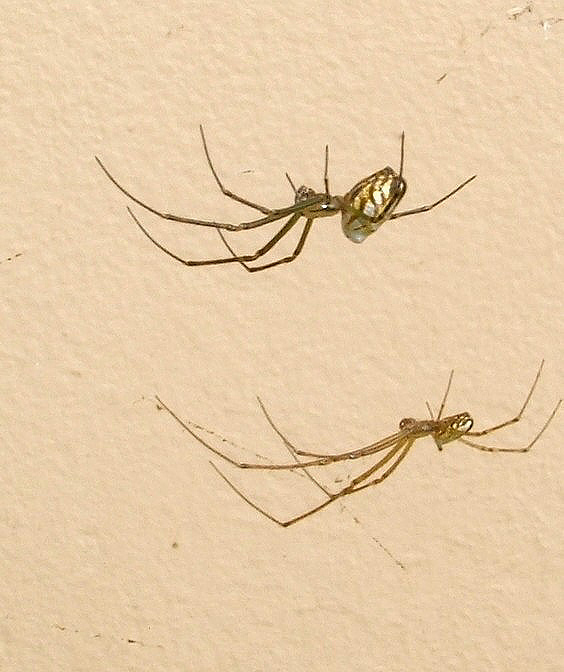 Male (bottom) and female hanging below their web as they are normally found.